Holy Thankful – PUSH ANIMAL. Though I ate my fair share of homemade Thanksgiving dishes and pie, my heart is what’s most full. Here we go. The five of us sat there, eyes closed, holding hands around a high-top dinner table piled with all the classics: buttery mashed potatoes, brown sugared yams, creamy and crunchy French’s green bean casserole, the remnants of our cheese board appetizer, no less than three bottles of wine, light and dark meat and, of course gravy, which we served out of a camping mug because it was the last clean dish left in the kitchen. My contribution was bacon wrapped asparagus. It was a friggin hit, guys. You could call them strangers. Two of them I’ve known for a month, one of them two weeks, and Madison, the woman to my left, two hours. One of our hosts, Libbe (two weeks), led us in a prayer, which explains the hand-holding. “I’ll just close my eyes and pretend,” I thought. I don’t subscribe to any religion and, honestly, I feel more connected to the vat of mashed potatoes in front of me than any sort of God that may or may not exist above us. But, instead, she thanked real people. The actual folks who had a hand in gathering us together, a group of almost-strangers, to be family-for-a-day. So I squeezed my eyes tighter and listened. I could feel hot pools of tears forming. I felt that familiar sting just before they flood your eyes and roll down your face. I peeked at Madison and could tell she was fighting them just as hard as I was. The next few hours were a blur of eating and talking and laughing and learning more about each other. But not in a where-did-you-go-to-school kind of way. I think we all forced down seconds just so we could chat longer. We talked about books, and TV shows, and Boulder, and our hometowns, and coffee, and bikes, and more bikes, and dog adoption, and roommate horror stories. Pumpkin, pecan, apple, more pumpkin. I had them all. The empty plates made their way to the kitchen and magically filled with pie, and our wine glasses got a second (third?) refill before we headed out back to sit around the a fire pit and swap more stories. I wasn’t home, but I felt like it. After a painful series of misfortunes the past month, I was feeling pretty damn lucky sitting outside in Colorado under the stars around a crackling fire with four seriously rad new friends. I said my own prayer-ish thing on my way home and thanked whoever brought me these amazing people and this good fortune. Pingback: Push Picks x DEC 1 17 – PUSH ANIMAL. 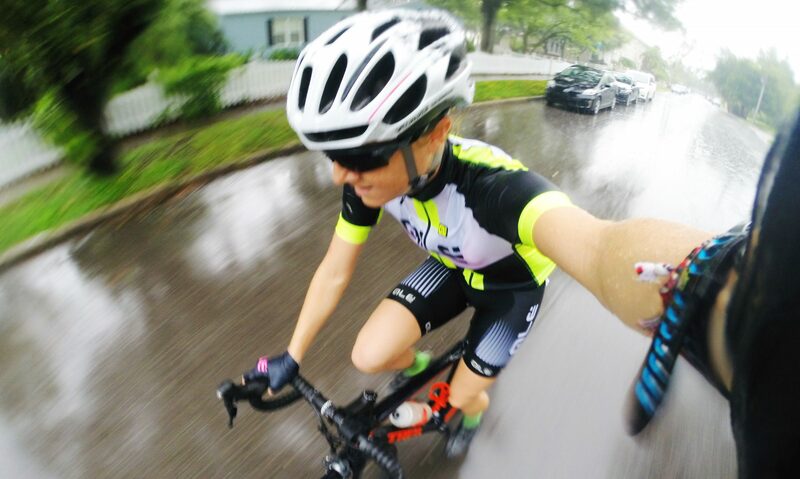 Pingback: Gravel Roads + Pastries Lately – PUSH ANIMAL. Previous PostPrevious Push Picks x Nov 24 17: What Deserves Space?